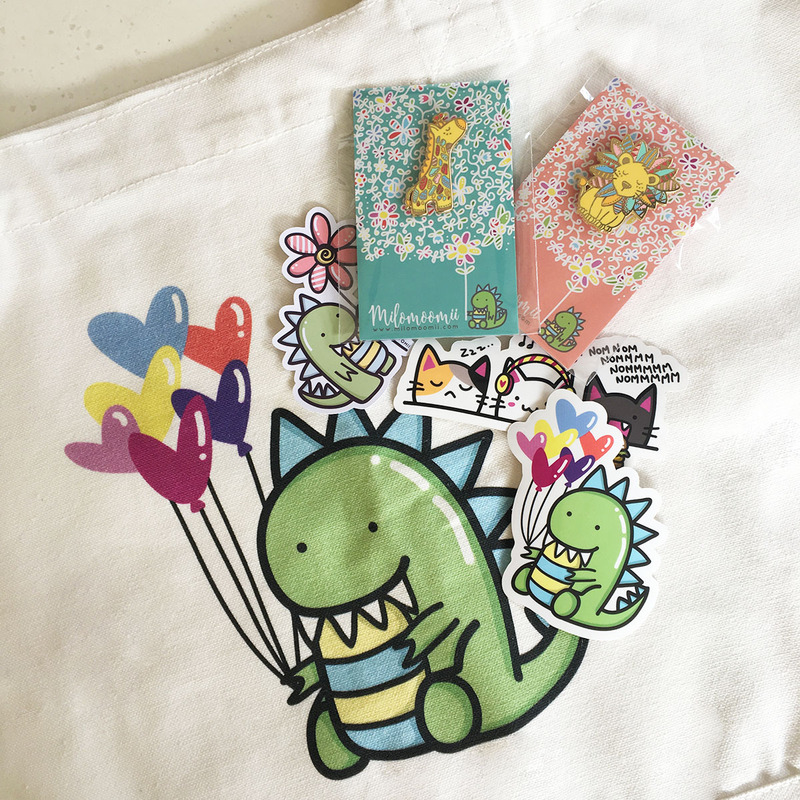 View cart “Floral Tiger Vinyl Sticker” has been added to your cart. 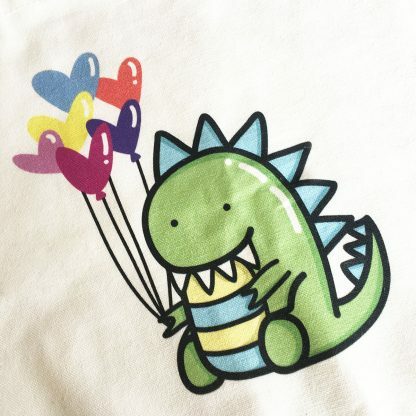 Dinos, balloons and pins, rawr! 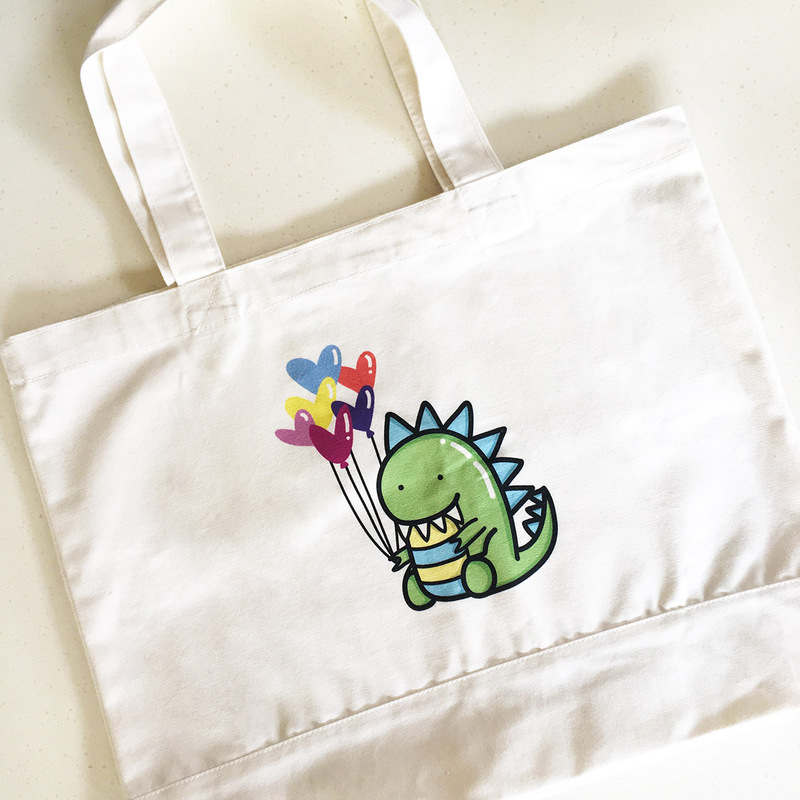 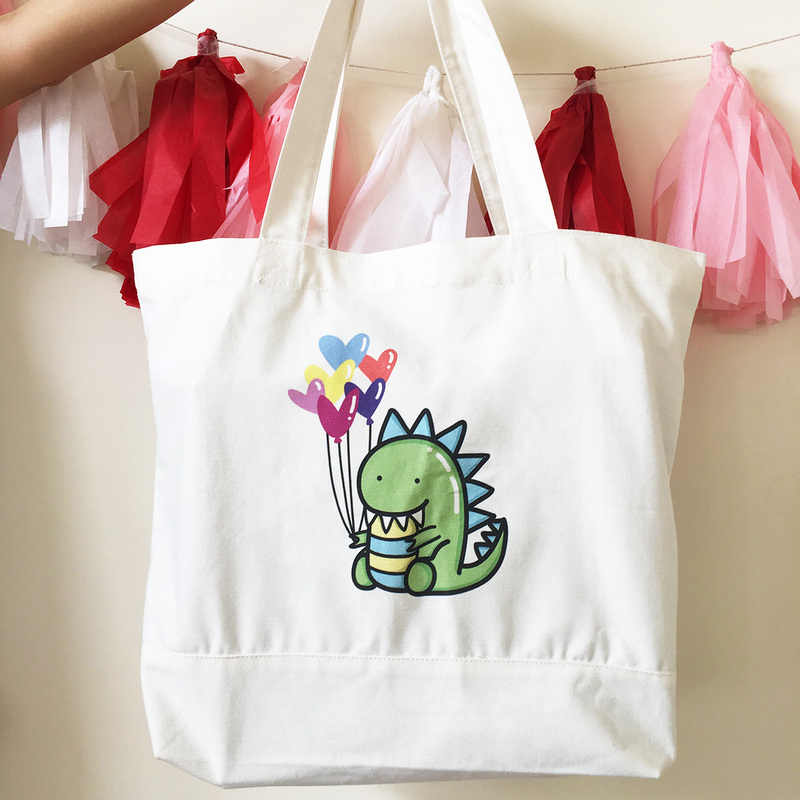 This starter gift pack includes an adorable tote bag featuring Moomii, the derpy dino! 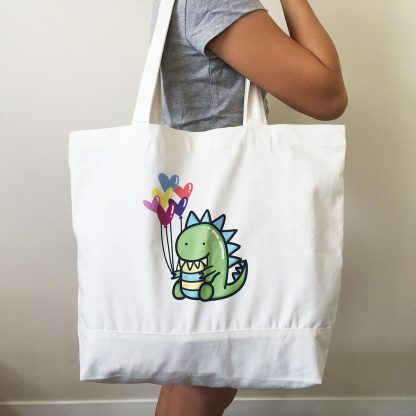 Made from thick and sturdy 100% cotton, this tote is perfect for carrying around all your essential items for school, work or play! 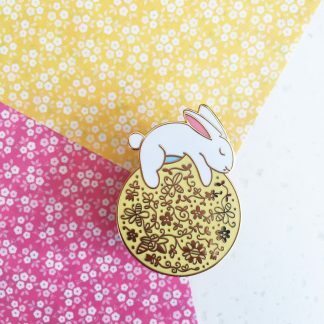 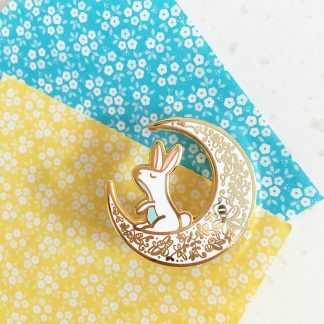 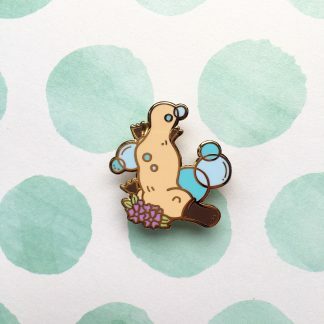 Each starter pack comes with 2 pins of your choice (or we can surprise you!) and stickers. Only a limited number of starter packs are available!